2. Fill the request information. 1. 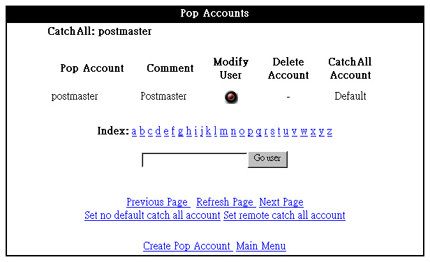 Login Main Menu, then select Pop Accounts, click Modify User. 2. In New Password, input new password. 3. Input new password again. 1. In Main Menu, select New Aliases. 2. In Pop Account select account which you want to set up new aliases. 3. Input new aliases in Aliases. 1. In Main Menu, select Pop Account. 2. Click Modify User bottom. 3. Input email account and choose whether to keep copy in the server (If you want to keep, please click Enable Save Copy and Forward). 4. Click Modify User bottom. 1. In Main Menu, select New Forwards. 2. In Forward Email Address, type the email address which you want to forward to. 3. In Local Name, type Pop Account or Aliases. *In this setting, the email will not keep copy in the server. 1. In Main Menu, select New Autoresponders. 2. In Autoresponders Name input user name. 3. 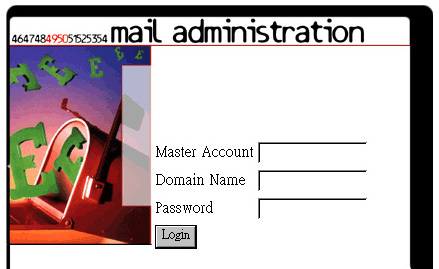 In Owner Email Address input user email address. 4. In Subject, input the email subject. 5. In the space area, type the autoresponders' content.